If needed, a glasses and/or contact lens prescription will be determined. Dr. Ciobanu O.D. will also provide the proper treatment and/or recommendations for any eye issues. You may be suffering from dry eyes if you are experiencing discomfort, light sensitivity, irritation, redness, blurry vision, or excessive tearing. Environmental factors, side effects from certain medications, contact lens wear, diseases, and/or structural problems of the eye can all contribute to dry eye. Since there are many different treatments for dry eye, Dr. Ciobanu O.D. will perform specifics tests to determine the extent of your dry eyes and to provide you with the proper treatment based on the results of her findings. Retinal imaging is relatively new technology that eliminates the need for dilating your eyes during an eye exam. This amazing device allows your eye doctor to see retinal, optic nerve and vascular structures not visible through regular exam methods. Retinal imaging picks up early signs of structural change or disease. This allows your eye doctor to see changes in the retina and optic nerve with greater accuracy. It becomes easier to make early and accurate detection of common sight threatening eye conditions such as retinal detachment, glaucoma, macular degeneration, diabetes, ocular cancers and high blood pressure. The high resolution images produced are quick and painless to capture. The images will be reviewed with your doctor immediately after the photographs are taken. After reviewing your eye health, the photos will be stored for future reference, enabling your doctor to monitor any disease progression. Are you tired of the hassle of contacts and glasses? Dr. Ciobanu O.D. offers LASIK consultations to determine if you are a good candidate for this safe and quick procedure. During your consultation, Dr. Ciobanu O.D. will use state-of-the art technology to check the overall health of your eyes, including your corneal curvature, eye pressure, and retinas. LASIK is used to correct nearsightedness, farsightedness, and astigmatism. The procedure takes about 15 minutes and is performed by the top eye surgeons in southern California. There are many eye diseases that do not show any symptoms and are painless. They include, but are not limited to, cataracts, macular degeneration and glaucoma. These types of eye conditions affect millions of people and if left undetected, may lead to severe vision loss or even blindness. Dr. Ciobanu O.D. 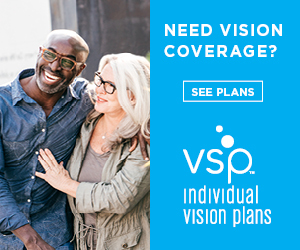 will be able to assess your eyes and educate you about the importance of vision loss prevention. She will also provide and/or refer you for treatment. Are you interested in wearing contacts lenses? There are several types of contact lenses available including soft contacts, contacts for astigmatism, bi-focal contacts, and hard contacts. With so many options, choosing the correct type for your eyes may seem confusing. Dr. Ciobanu O.D. can help. She has extensive training in fitting proper contact lenses and will provide you with a thorough examination to custom fit the lenses to your eyes. The fitting will allow you to see clearly, and in comfort. Dr. Ciobanu O.D. will also provide expert training on the care and maintenance of your new contact lenses. We do also accept other insurance plans. If your plan is not listed here, please give us a call and we’ll help you to determine your eligibility and to understand your benefits.